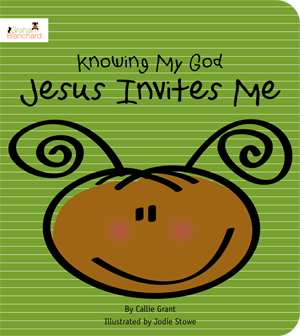 As one who loves all books and also teaches Sunday School class to 1st and 2nd graders, I was happy to get my hands on a beautiful hard copy of Jesus Invites Me which is part of the Knowing My God series by Graham Blanchard Publishing. This series is an excellent resource for sharing God’s word and will, right at home during read times. Beautiful full color photographs make on sturdy pages make this enjoyable for inquisitive eyes as well as curious, busy hands. There is something for everybody on these beautiful pages, based on Matthew 11:28-30: Come to me, all you who are weary and burdened, and I will give you rest. Take my yoke upon you and learn from me, for I am gentle and humble in heart, and you will find rest for your souls. For my yoke is easy and my burden is light. God’s words of scripture and photos invite children to come to Jesus and learn what it means to walk with Him. I love the way the book simply explains what a “yoke” is and what Jesus means when He uses these words. It helps that there is a picture, along with scripture and a simple but clear explanation. I have to say these books would make a perfect gift for little ones from Infant to age 7. I also had a sneak peek through PDF versions of both Jesus Saves Me and Jesus Shows Me. I think the quality and content in all of these books is excellent and useful in the home as well as in a number of children’s settings. I would have loved to get these for my Girl when she was younger! This Board Book publishing date is October 1, 2013. Just in time for Fall Birthdays, Thanksgiving and Christmas. I highly recommend you also check out this faith based company and the other books available. A very impressive endeavor and quality products that seek to make a difference. illustrators, parents and pastors. The company is passionate about providing the highest quality books and resources to promote a love of learning about God, in addition to supporting families with prayer and the shared experiences of other parents. Graham Blanchard books are distributed by STL, Spring Arbor and Anchor Distributors. For more information please visit www.grahamblanchard.com. I received this book from Shelton Interactive in return for a review. Opinions expressed are my own. Looks like a lovely book for my granddaughter who is about to turn 4 in December. Thanks for tweeting me too.